Measurements over many subsequent years showed that the ones dug from the field nursery and planted—i.e., transplanted—in fall did just as well as the ones transplanted in spring, defying nursery lore about the perils of fall transplanting—at least for these three species. For a wide range of species, my adviser had observed anecdotally in her decades of planting trees in Ithaca that fall transplanting was just fine. Fall is a grand time to plant most trees and shrubs, so long as you properly prepare your planting site and give the plants proper aftercare. Good preparation means making sure the site is well amended with organic matter and the planting hole is as wide as possible so the roots have some opportunity to explore the larger soilscape. 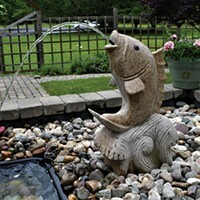 Good aftercare means watering deeply one to three times weekly, depending on how dry it is, until the ground freezes and giving the plant a wide, mulched bed so its roots don’t have to compete with turf grass. Fall planting’s virtues are many. The air is cooler, so there’s less water loss through the leaves. This is much less stressful for a newly transplanted or planted tree or shrub than being planted, say, in late spring just before a heat wave hits in June. Fall planted trees and shrubs still need deep watering to encourage root growth in their new situation, however. Another advantage of fall planting is that while the air is cool, the soil is still warm, which enhances root growth. Root growth has been found to occur as long as soil temperatures remain above 40 to 45 degrees Fahrenheit—and keep in mind that soils cool much more slowly than the ambient air, so this soil warmth lasts well into fall. Late August and September are great times to plant, but in many cases, you can go into early October, and if you find a specimen on sale in November and you’re willing to assume a little risk, plant that plant. What makes late fall planting riskier? It depends on what kind of winter weather comes. When it comes to plants and winter damage, as woody plants professors like to say, “It’s not how cold it gets, it’s how it gets cold.” Do very cold temps come on suddenly and without benefit of snow on the ground, which serves as a kind of protective mulch over tree roots? Or does the cold come gradually and give the plant a chance to “harden off”? How it gets cold is more pertinent. Randy Padgett, longtime nursery manager for Adams Fairacre Farms in Poughkeepsie, says he’d like to see more of his customers enjoy the fruits of fall planting. “I tell my customers that when they plant in the fall, they’re actually planting for the following year. 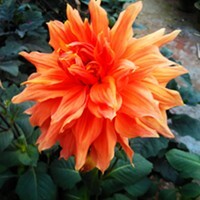 They’re giving the plant a head start by giving its roots time to settle in the soil and have at least some growth before the demands of the following spring. 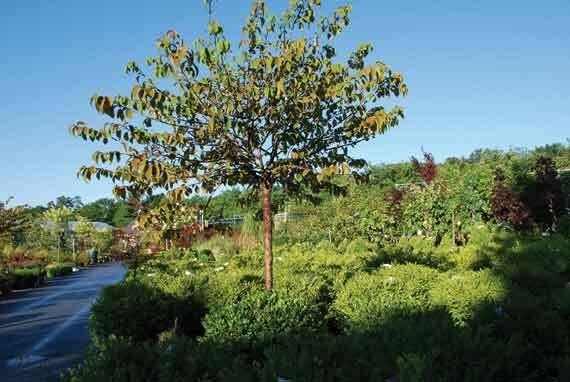 Not everyone has caught on, but those that do have a lot of success with fall planting.” Padgett says the Adams Farms landscape crew has successfully planted trees as late as Christmas. 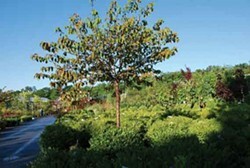 Padgett makes a distinction between planting trees and shrubs and transplanting them. Trees and shrubs that have been grown in containers in the nursery or that were dug and balled and burlapped in the spring can be planted from late August until the ground freezes. By contrast, let’s say you want to transplant your weigela shrub (deciduous) or your boxwood (evergreen) from one spot to another in your yard. Deciduous shrubs like weigela, butterfly bush, and spireas should be transplanted after they lose their leaves. Evergreen shrubs like boxwood and hollies should be transplanted earlier—Padgett recommends late August and early September for evergreen transplanting. “If something’s not performing well,” he says, “don’t be afraid to move it.” His customers find that plants can take off when relocated to another part of the yard with different conditions. Almost everything in Padgett’s home garden was planted in the fall. It’s when he has more time to attend to his home garden, and he takes home a lot of “Charlie Brown” plants that didn’t sell in the Adams nursery and brings them back to health. But even if he didn’t have the time constraints in the spring, he would still opt for fall planting. Why don’t more people engage in autumn planting? Padgett says his industry has tried to get customers over to the fall planting camp, but it’s challenging. “In the nursery business, color sells,” he says. “More plant material is in bloom in the spring.” There are some exceptions, such as when shoppers see the exquisite, prolific purple berries on beautyberry in the fall. “Beautyberry gets overlooked in the spring, but when customers see the berries in the fall, they sell out fast,” Padgett says. Other plants that get some attention in fall include viburnums and Japanese maples with their red to orange fall leaf color and Knockout roses that bloom right up to frost. Padgett says that the most important part of aftercare is watering. “Mother Nature won’t take care of watering,” he says, “and that first fall and subsequent spring and summer is really critical. In the business we say, ‘First Year, Sleep; Second Year, Creep; Third Year, Leap’—so expect to see the fruits of your labors starting in year three.” This and other wisdom is what you can expect from interactions with Padgett and his nursery staff at Adams. And if you go in the fall, when sales are undeservedly slower, you will get that much more attention. The nursery at Adams Fairacre Farms in Poughkeepsie. 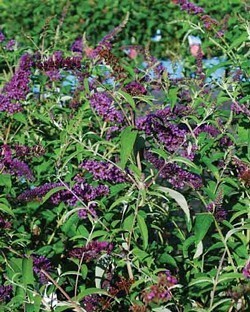 Butterfly bushes can be planted or transplanted. 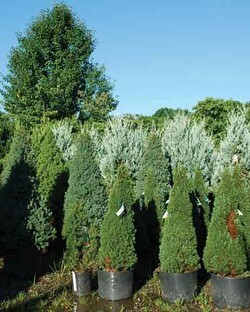 Container-grown evergreens in the Adams Fairacre Farms nursery.